Where to find Calversham hotels near an airport? 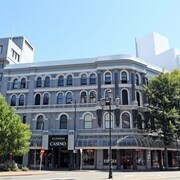 How can I find hotels in different Calversham neighborhoods? 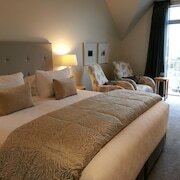 Where can I find hotels in Calversham that are near tourist attractions? 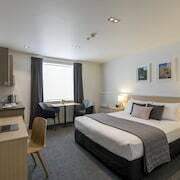 From the cheap and cheerful to the more luxurious, Calversham features a generous assortment of comfortable hotel and apartment choices. Expedia's up-to-the-minute database has 64 hotels and other accommodation options that are within a 0.1-kilometre (0.06-mile) distance of the heart of Calversham. Finding a room close to the heart of Calversham has never been simpler. Expedia's database lists the Carisbrook Motel and Lisburn House, which are situated a short distance of the town center. The Camp Estate is 12 kilometres (7 miles) from the middle of Calversham. 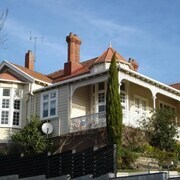 Alternatively, the Larnach Lodge is 12 kilometres (8 miles) away. 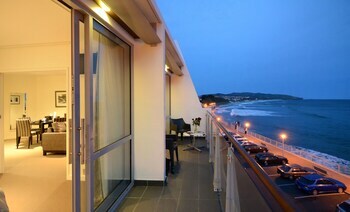 Some more places to stay around Calversham include the Roslyn Apartments and the Hotel St Clair. Like to travel a bit further afield? 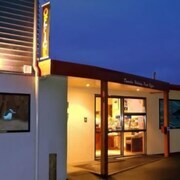 South Island has a number of things to see. If you're a nature lover, be sure to explore South Island's beaches. You could also spend time at a few of its old towns. Active visitors might try snowboarding in this part of New Zealand. 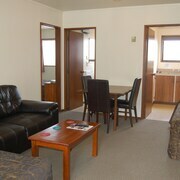 The nearest hotels in Dunedin include Mosgiel and Dunedin City Centre. 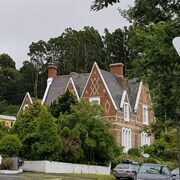 Mosgiel is 12 kilometres (7 miles) to the northwest of Calversham, while Dunedin City Centre is 4 kilometres (2 miles) to the northeast. 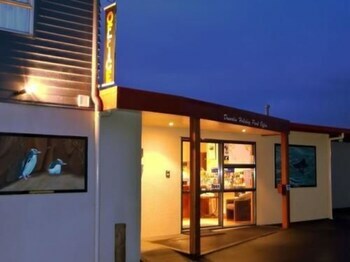 Accommodations in Mosgiel include the Bella Vista Motel Mosgiel and Silver Peaks Lodge Bed & Breakfast. 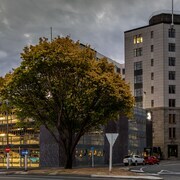 While Dunedin City Centre apartments include the 755 Regal Court and Bluestone On George. Get your fix of local sport by making a trip to Forsyth Barr Stadium, which is 5 kilometres (3 miles) to the northeast of Calversham. 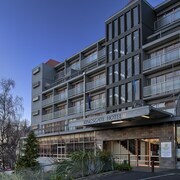 Book accommodation right near the action at the Commodore Motels or the Scenic Hotel Southern Cross. Before you head out the door to Calversham, make sure you look through Expedia's Calversham travel guide where you'll be able to get the inside scoop the many things to do and see this great place offers. What are the most popular Calversham hotels? 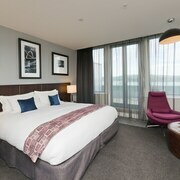 Are there hotels in other cities near Calversham? 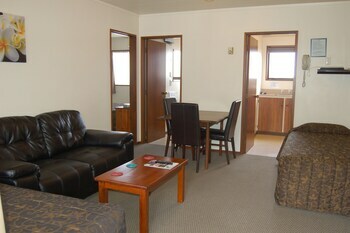 What other types of accommodations are available in Calversham? Explore Calversham with Expedia.ca’s Travel Guides to find the best flights, cars, holiday packages and more!